Thanksgiving is a time for family, friends, fun, reflection and giving thanks. 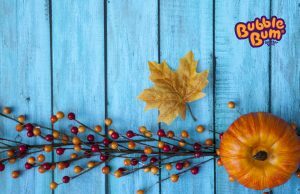 Many families embark on travel this time of year to visit those nearest and dearest to them and as we all know the Thanksgiving Holiday is the busiest travel period of the year. With the trunk crammed with sparkling gifts, overpacked luggage, home baked pies and sweet potato casserole, there are a few more pieces of cargo that need to be transported with care…your kids! 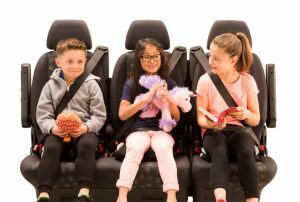 In the hustle and bustle of packing for your pre-Thanksgiving road trip it might be easy to forget how to transport your little angels safely and comfortably. What can I say, except ‘you are welcome’. 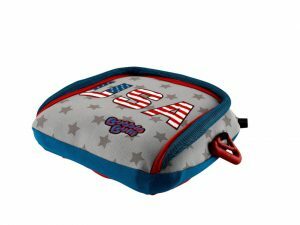 This little inflatable magical travel cushion will be the neatest thing you buy this Thanksgiving to save you space and time but does not compromise on safety having been tested in both the US and the Europe. It has also been awarded the Insurance Institute for High Safety (IIHS) Best Bet Booster for 6 years in a row! The BubbleBum’s slimline and narrow design allows the travel car booster seat to sit three in the back of even the smallest of cars. You simply inflate the BubbleBum by mouth in just a few puffs; the seat deflates and folds away fitting into the smallest of spaces. It is perfect for the holiday season as the BubbleBum can be moved easily into grandparents’ car for a fun Thanksgiving day trip.